A steady dribble from a shower, spout or a garden tap can waste 50,000 litres per year, about the size of an average swimming pool, a cost of approx $50.00. To repair a leaking tap will cost approx $3.00 and may save $50.00 per year. 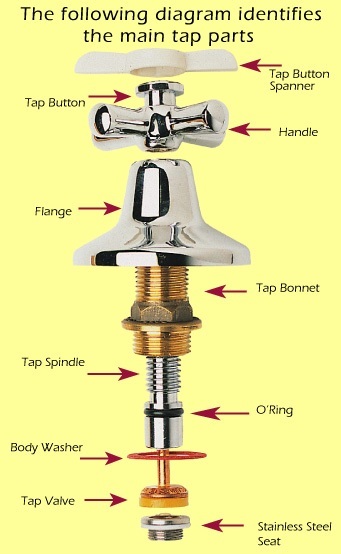 Locate new FIX-A-TAP tap valve, body washer and o'ring. Lubricate o'ring, tap bonnet and spindle assembly. Re-assemble tap bonnet, flange and handle. With tap turned off, turn on the mains water supply.